We’ve been a vital part of the Fort Collins community for over 95 years. 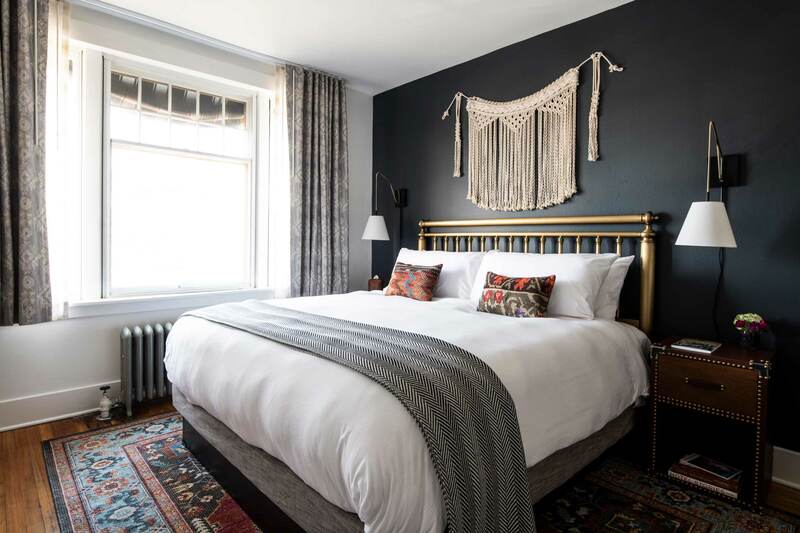 In spring 2019, we underwent thoughtful renovations to bring renewed luster to our guestrooms and public spaces, while respecting our history and longevity. Our newly expanded lobby now creates an even stronger sense of community right inside our front door, with lively and inviting spaces for all. We welcome you to stop by (you may find an impromptu cocktail hour or some live music) and say hello to Oreo, our infamous house cat – she’ll probably be napping in the lobby when you check in. A cozy, historically inspired retreat, this room is thoughtfully designed to enhance its intimate feel. Our King Bedrooms are popular with couples looking for a comfortable home base for their adventures. Our Double Queen Bedroom is perfect for families, or friends who want to share a room. Our Deluxe King Bedrooms are ideal for those who prefer a little more space to enjoy. Celebrating something special? Or just looking for a peaceful retreat? Our Signature King Bedroom will provide you with the perfect setting. If you're planning to stay in Fort Collins for a few nights, our Signature King Bedroom is a great option. With a larger footprint, our One-Bedroom Suites have a king bed and a separate living room that includes a pull-out queen sofa bed. Our largest suites are infused with period style details newly designed to offer all the amenities you expect, and lend themselves equally to special celebrations or longer visits. An underground haunt with a speakeasy feel, Ace Gillett’s hosts live music most nights. They’re also known for their crafted cocktails and a forward-thinking take on bar food. At the historic Armstrong Hotel, we’re more than just a meeting space. Our staff love creating one-of-a-kind events to inspire and motivate your team, and leave your guests with fantastic memories.